Developed in close association with Justin Rose, specifically to add short-game versatility and the opportunity to hit explosion shots from anywhere. The Hi-Toe’s been put in play by Dustin Johnson, Jon Rahm and Rory McIlroy. 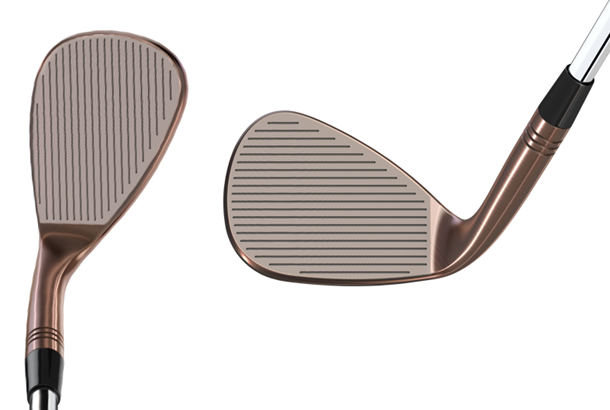 The Hi-Toe’s design gives a more centred centre of gravity for lower flighted but higher spinning shots, full length face grooves ensure consistent contact from the rough. When you’ve got the likes of DJ, Jon Rahm, Rory, Justin Rose and Jason Day beating down your office door wanting gear to hit very specific shots you’re obliged to sit up and listen. You only need look at how quickly Dustin Johnson and Jon Rahm adopted the Hi-Toe concept once it had appeared in Justin Rose’s bag to realise the ideas got merit amongst the best players in the world. Our testers were split on the relevance of the Hi-Toe for the average club golfer though, as very high lofted wedges have a reputation for being difficult to consistently handle on the golf course. Simon found he could hit a 60 yard shot (with the 60 deg) with a drop and shot trajectory which usually is an achilles heel. Our test pro reckoned he could see why the games best want the Hi-Toe in their bags, as from 30 – 40 yards he could nip and stop shots on the second bounce, which isn’t always the case with more traditional wedges. Experience tells us 60deg (and above) wedges are not for everyone, as they’re unpredictable in the hands of club golfers. If like some of the worlds best players you’re looking to add an extra dimension to your short game, the Hi-Toe might be worth trying at a demo day. Err on the side of caution before opening your wallet though. TaylorMade's High-Toe Wedge is engineered for ultimate versatility around the green. 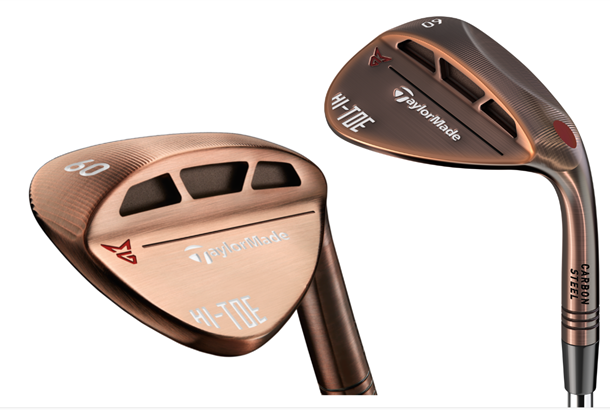 Already in the Bags of World #1 & #2 Dustin Johnson & Jon Rahm, TaylorMade's new Milled Grind Hi-Toe wedge is designed to deliver optimal short-game control for a multitude of shots and conditions around the green. Following Johnson and Rahm's successes with the new wedge, fellow TaylorMade stablemates Rory McIlroy and Justin Rose have also added the Milled Grind Hi-Toe wedge to their bags early in their respective 2018 campaigns. The Hi-Toe’s full-face scoring lines ensure consistent ball contact out of the rough, while the high bounce leading edge and channel cut midsole make for a more efficient turf interaction which provides cleaner contact with the golf ball for optimal short-game accuracy and control. The enhanced heel and toe relief of the Hi-Toe wedge allows golfers to accomplish a wide array of shots without the club digging into the turf, while the sole cavity features three trapezoid-shaped pockets that optimise weight distribution, which in turn enhances the wedge’s feel.